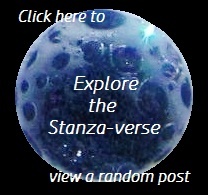 The Harvest | What Rhymes with Stanza? WordPress Writing 201: Assignment One. Prompt: screen. Form: haiku. Device: alliteration. This entry was posted in Haiku, Photography, poetry, Writing 201 and tagged #writing201, haiku, harvest, photography, poetry, thoughts. Bookmark the permalink. Search the chaff for truth – great line! Thank you. And thanks for commenting. Wow! That is quite the compliment! Thank you. When I was writing this one, my brain kept telling me the word I wanted was “shaft,” which I knew wasn’t right. I finally had to look up the phrase to remember the correct word “chaff.”. Very glad I did! I enjoyed that — made me pause and ponder.